Spring is here, and with it comes so many exciting happenings around our community that conjure up the "Green" in all of us! It all kicks off Saturday, 4/14, with the Master Gardener's 7th Annual Spring Herb & Plant Festival at the Piedmont Farmers Market on Winecoff School Road. 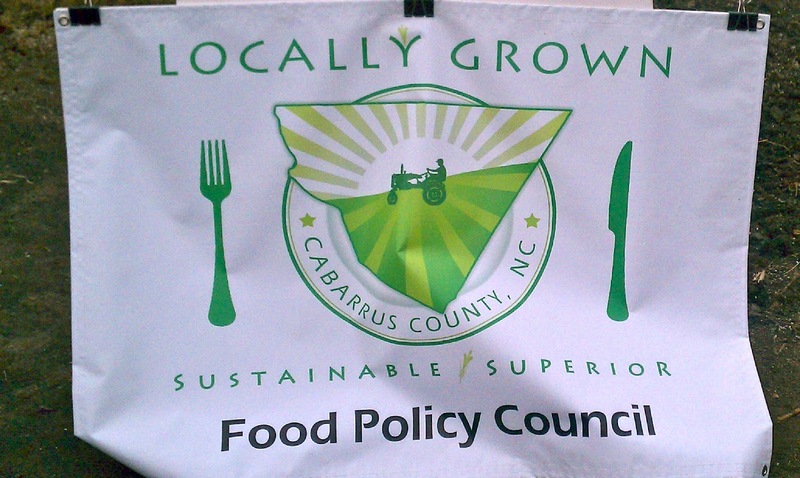 I will be there along with other members of the Cabarrus Food Policy Council to tour newcomers (and festival veterans) around the 'campus', introducing them to our local farmer/producers and offering some guidance and education about preparing your seasonal garden. The festival will take place rain or shine from 8:00am-5:00pm, and we will be offering tours from 10:00am-12:00pm. And while you are in the neighborhood, head over to the 3rd Annual Viva Verde Earthfest taking place at North Cabarrus Park from 10:00am-3:00pm. There will be entertainment for all ages, and activities focused on recycling and green living. For your convenience, there will be a shuttle moving between the Piedmont Farmers Market and the Viva Verde Fest. More information regarding both events is available when searched on-line. Hope to see you all there! If you haven't had a chance to see the incredible grassroots food documentary "Fresh", now is your chance! Bocca Felice has volunteered to assist the Kannapolis Library in this special movie screening event to be held on Thursday, April 19th, at 4:30pm at the Piedmont Farmers Market Kannapolis location in Cannon Village. "Fresh" is a movie that embodies the good food movement...originally set out to simply encourage a new way of thinking about the way we are eating, but has become a huge success in influencing people about their daily food choices. 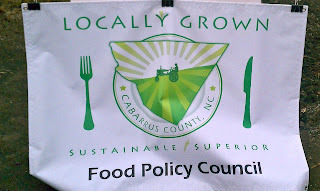 In an effort to bring greater health to the members of our community, and support the NC Science Festival taking place this month, the Kannapolis library has arranged for this special 1-hour movie viewing event, and afterwards, as a representative of Bocca Felice and the Cabarrus County Food Policy Council, I will be hosting a market tour, along with some simple culinary demonstrations with the foods available at the market. If you are a foodie and interested in learning more about where your food is coming from, and what you can do about it, this movie is not to be missed! We hope you will take advantage of this free special event....and hope to see you at the movies! For more information about this event, or other events this month, please search online: NC Science Festival, Kannapolis. May's Cooking Class: "The Joy of Pasta Making"
For more information on this special 2-hour hands-on class, please click on the Monthly Classes tab on the menu bar. Looking forward to sharing our family's pasta making traditions with you!